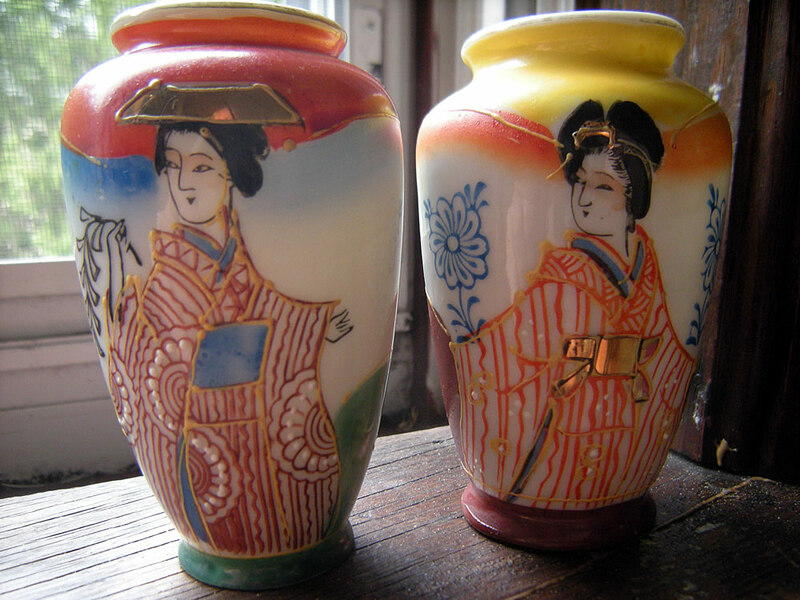 I just got this pair of Japanese porcelain Satsuma style mini vases made in Occupied Japan at a second hand resale shop. This type of Satsuma style mini vases are very common, and they're not valuable, so when I saw the $20 price tag I declined to purchase them until several days later when I got an email informing me that the dealer was having a half off sale, so I went there as soon as I could hoping they still had them. Fortunately for me they did. I like Geisha and women in traditional Japanese Kimono, so like these Satsuma style mini vases very much and think they make a great addition to my Japanese porcelain collection.